Voted one of the last century’s most influential people in music, Dusty Springfield was and still is an icon of individuality, creativity and inclusivity. Her hits spanned the world and remain as popular today as they did on first release, but behind the public façade is a life less well known, that is until now as a brand new show is about to tour which will peel back the layers and allow us to peek into the real life of the US & UK Halls of Fame inductee. 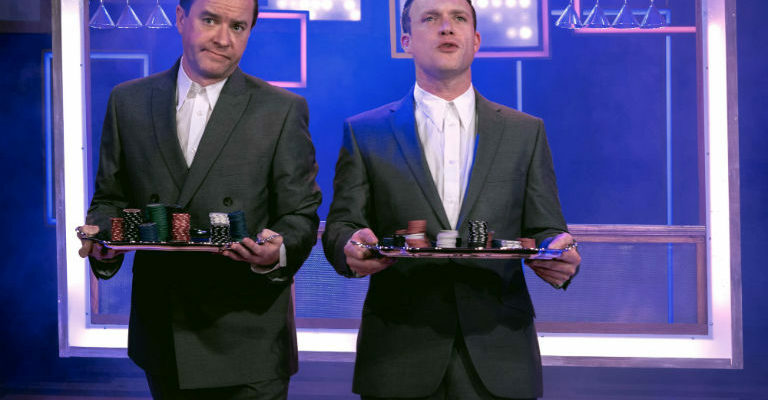 First, let’s be clear – this is not a jukebox musical like so many shows currently touring, some of which are, to coin a phrase, ‘just bobbins’ – this is a fully rounded play with a fiercely funny & emotionally charged script by BAFTA and Olivier nominated writer Jonathan Harvey. Directed by Olivier Award-winner Maria Friedman and supported throughout by Dusty’s close friend, manager and authorised biographer Vicki Wickham this promises to be a super-charged trip through her life. “Audiences will come out surprised at what a life she had, the challenges she faced and how she overcame them” said Wickham, the lady who first met Dusty in 1963 on the TV show Ready Steady Go!. Dusty has always had a huge following who love her style and music – to many she has become an empowering icon for them to follow but what is probably less known about her is that it was Dusty who introduced many of the black artists of the 60’s into UK mainstream TV – The Temptations, The Supremes and Stevie Wonder were all invited to perform on a special edition and was just one example of how Dusty wasn’t just against racism, she abhorred it (to the extent that she was barred from South Africa for refusing to play to a segregated audience). A lady of principals far ahead of her time, her story still rings true today, in fact it is probably more relevant now than ever before. With 16 UK Chart hits and 20 in the states, the challenge for writer Harvey was how to ensure the songs were woven into the thread of the story, not just shoe horned in “You don’t want it to feel like you do a scene, stop for a song, do the next scene…it has to feel organic” and it will be this approach that will undoubtedly set this show apart from all the other tribute/jukebox musicals. Agreed by all the cast, Harvey has written a really visceral, raw script that is also very funny. Dusty herself was a very funny lady and so there’s a lot of banter between her and her entourage of best friends, but he hasn’t shied away from showing the darker, less happy times too – times which may shock and surprise the casual fan and leave them more in awe at the challenges she had to overcome to be such the legend she is. The recent press launch was hosted in the Arcane cocktail lounge in Manchester – a very intimate setting, and introduced the stars, writer and director and gave Katherine an opportunity to show a glimpse of why she has been chosen to play Dusty. As she admits, Dusty’s songs are instantly recognisable and so too is not only her voice, but her style of singing – “This is not me trying to do a Dusty impression”, she explains “but trying to capture the essence and presence of an icon in such a way that it tells her story without fans being distracted by trying to compare like for like”. “What was most surprising when researching Dusty, was how incredibly shy she was away from the public persona she created….I have immersed myself in her world…to show people what was really going on in her life” Treating all to a rendition of The Look of Love it was instantly clear why Katherine has been chosen – she exudes a sensuality which is hypnotic, mesmerising and yet strangely familiar and is certain to have audiences holding their breath. Taking the tempo up a notch or ten and backed by her possibly Dusty’s most famous “Son of a Preacher Man” in all its raw, gospel-driven power. It goes without saying that fans of Dusty Springfield will be in raptures over this new production but its reach, its impact and, not to forget, its brilliant script and cast will mean this show will delight anyone who enjoys great music and wonderful acting. 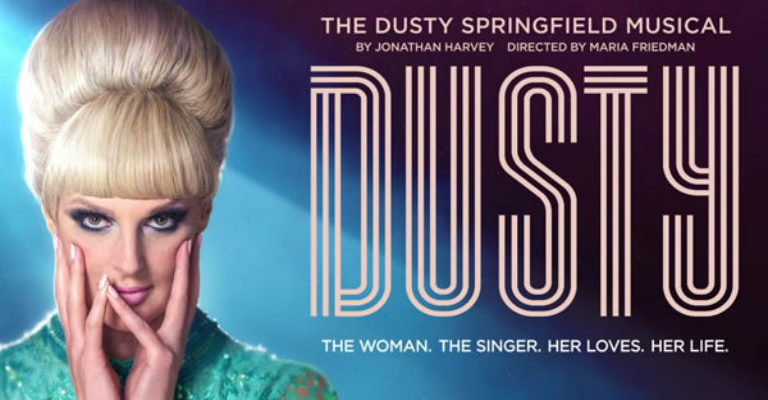 Dusty – The New Dusty Springfield Musical opens on Saturday 23rd June at Theatre Royal Bath before going to Sheffield Lyceum (from July 10th), Newcastle Theatre Royal (from July 17th) and finally at The Lowry, Salford (from July 24th). Website www.dustyspringfieldmusical.com or venue box offices for tickets and full list of showtimes.